Specializing in Yoga for health and healing. Starting from beginner to advanced yoga. 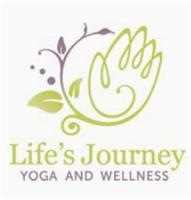 Services Life's Journey Yoga and Wellness is a yoga instructor at 2301 Park Ave Suite 302 , Orange Park, FL 32073. Yoga, Wellness, and Pilates provides yoga services like Bikram, pilates, prenatal yoga, yoga for beginners and exercise techniques. Call Life's Journey Yoga and Wellness at (904) 276-3116 for a full list of yoga services in Orange Park, FL.